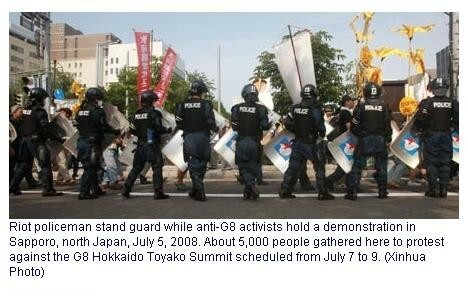 TOKYO, July 5 (Xinhua) -- As the Group of Eight (G8) summit is to be held in northern Japan's Hokkaido early next week, the Japanese government has mobilized the Self-Defense Forces (SDF) and police troops to tighten terrestrial, marine and aerial security both in the capital of Tokyo and around the location of the summit. Under the command of Japanese Defense Minister Shigeru Ishiba, the Ground, Marine and Air SDF have adopted the first-class alert and are ready to "take all necessary actions." Over 1,200 policemen have been designated for the protection of VIPs, doubling the number at Okinawa in 2000, the police said. According to the summit budget of the Hokkaido Prefectural government, more than a half of the 2.2 billion yen (about 20.1 million U.S. dollars) was earmarked for security. Besides the 5,500 Hokkaido policemen, half of the local police force, 15,000 policemen from around Japan have gathered around the Toyako lake. 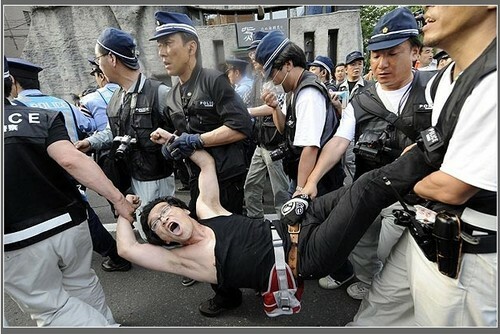 During the summit, more than 20,000 policemen would be on guard in Tokyo, about 800 km away from the summit venue. 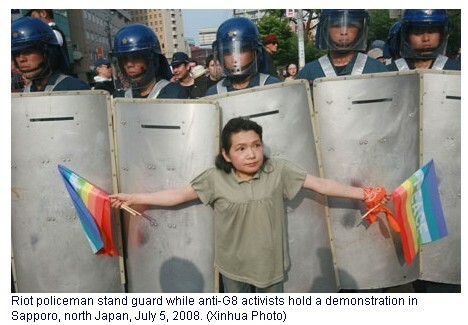 According to the police, Tokyo is also their "major battlefield" because during the G8 summit in Britain three years ago, bomb attacks took place in London although the capital was not the venue of the meeting. © Copyright of Telegraph Media Group Limited 2008.